Camping season is just around the corner and if you are planning on buying a used motorhome we have handy tips to help you make a great bargain. Buying a used vehicle can be risky, especially in a private sale. On the other hand, choosing an authorised used motorhome dealer offers you an opportunity to explore a vast range of second hand motorhomes for sale from different motorhome manufacturers. Moreover, not only does each of the motorhomes undergo a multi-point inspection, they also come with a thorough paperwork and 1-year warranty to offer you an assured peace of mind. The first thing is to inspect is the external condition of the motorhome’s body. Look for paint-scraps, scuffs, paint bubbles or scratches across the body, the roof and the rear. Usually overlooked, the roof of the motorhome can be a deal breaker and often a cause of water leaks inside the motorhome. Similarly, the rear of the motorhome is exposed to bumps and scratches when reversing and most often the reasons for insurance claims. Thus they both require a close inspection. While they are a tell-tale sign of wear and tear, don’t just look at the tyre tread depth. It is important to check both from the legal and safety point of view. Ensure they aren’t worn out and are of the right type and size, correct for the vehicle by looking at the information about the date of manufacture and load rating, on the side of the tyre. With the legal minimum tread depth for cars in Australia being 1.6 mm, you want to make sure that they are in good condition else you can ask the dealer or owner to compensate you for the cost of new tyres. A thorough inspection of the interiors and all appliances is important and you must test everything by turning on and off the switches. Check the condition of all the lightings, water heater, fridge, microwave, bathroom fittings and whether they all work efficiently. Check the bathroom and sinks for any signs of water leakage. Carry a portable moisture tester or digital damp detector to check for any dampness in the walls, windows, cupboard, under the bed or around the interiors. 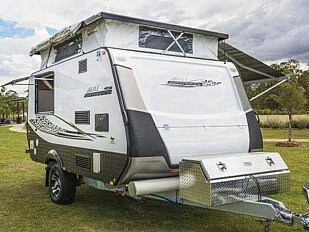 As one of Australia’s leading motorhome manufacturers, our motorhomes like Applause, Ovation and others at Avan have a reputation for smooth bonded panel construction with insulated sandwich panel walls that provide smooth finish and durability across the lifespan of the motorhome. Examine the second hand motorhome for basic vehicle checks like the condition of fluid levels and the engine, the central locking, air conditioner, lights and accessories GPS, mileage, driver assistance systems, navigation system. The best way to test each of these is to take a long test drive on different road surfaces, especially over rough surfaces to get a good idea of different controls and condition of the vehicle. Final words of advice: Don’t rush into buying a motorhome. It is also advisable to stretch yourself for a motorhome that you feel can be comfortable for your family. 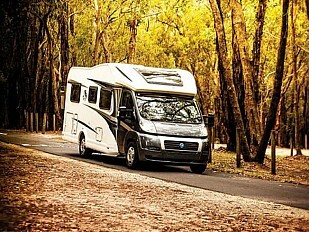 If you are in Sydney and looking for used motorhomes for sale in NSW, visit Avan NSW – leading motorhome dealers in NSW. We house an extensive range of affordable and cheap motorhomes for sale from all leading motorhome manufacturers like Avan, Knaus, Jayco, Mercedes, Toyota and many more. 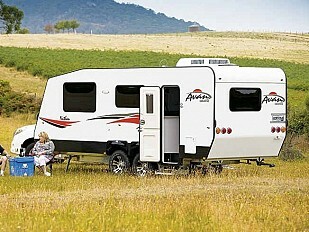 Next Next post: Which Should I Buy: Second Hand Caravan or New Caravan?